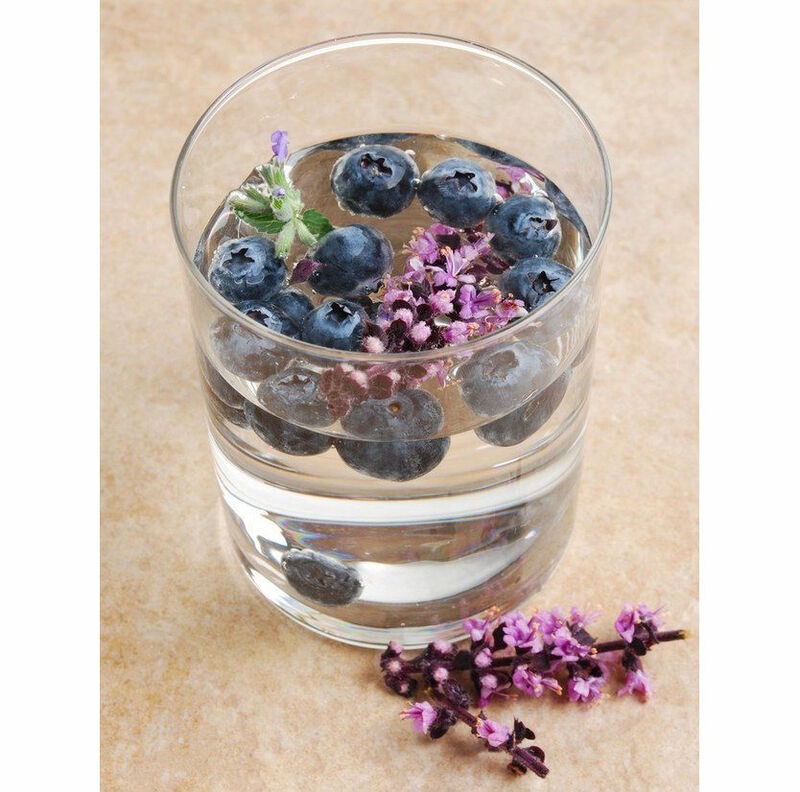 Pour the boiling water over the dried lavender in a bowl or teapot and let it steep for 5 to 10 minutes. Strain the water into a pitcher, then stir the sugar or honey into the hot water until it is dissolved. Add ice to the pitcher and let the mixture cool. While it’s cooling, juice the lemons, then add the lemon juice to the pitcher, adding cold water at the same time. Puree the blueberries with 2 tablespoons of water in a blender and immediately add the puree to the lemonade, stirring well. Get the recipe. Puree the watermelon and mint leaves in a blender – there’s no need to add water, as watermelon fruit contains a lot of water already. Pour the watermelon juice into tall glasses containing ice cubes and garnish with black salt and chaat masala, a masala made with dried mango powder, cumin, coriander, and other spices. Get the recipe. Staying hydrated is important all year round, but cool drinks are especially important as it starts to get warmer. In addition to preventing dehydration, a nice cold beverage on a hot day can reduce your risk of heat stroke(3). 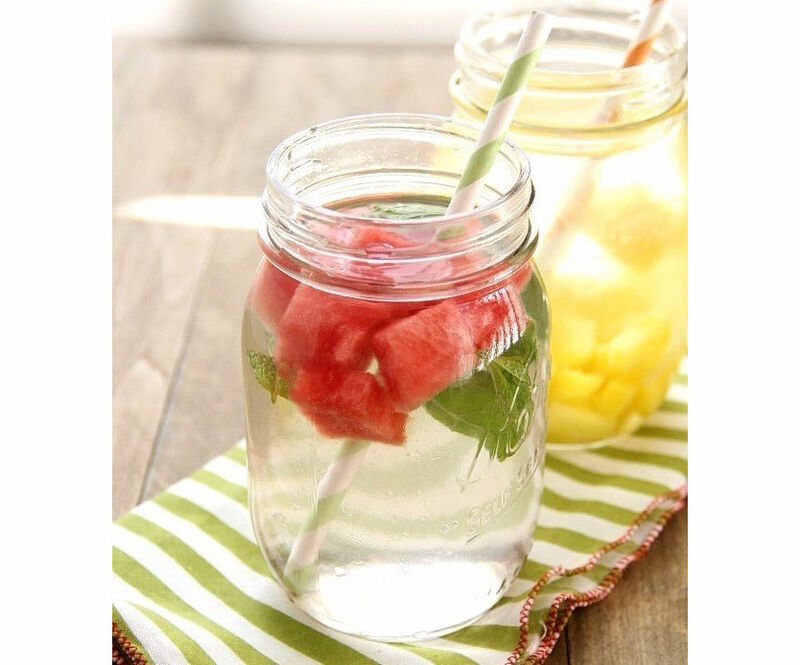 Infused waters are a great way of getting vitamins from fruit, especially if you’re not a big fruit-eater ordinarily. Lemons, which are featured in several of these recipes, are high in vitamin C, and are a powerful antioxidant(4). Mint, basil, and other herbs will not only give you better-smelling breath but help with digestion as well(5). 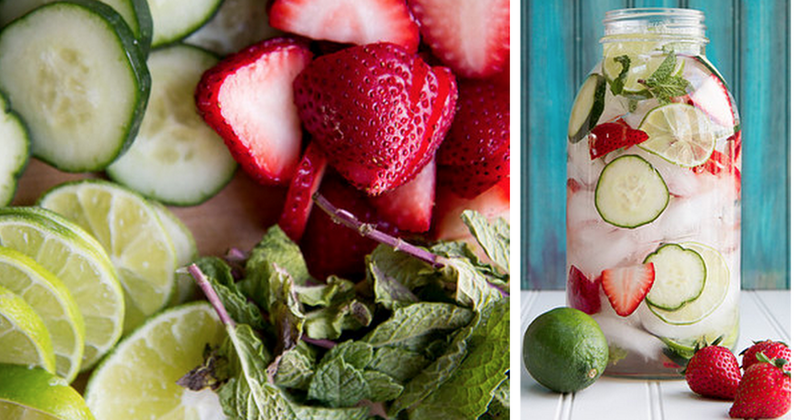 Best of all, there’s no high-fructose corn syrup and you can control how much sugar goes into these refreshing summer drinks.